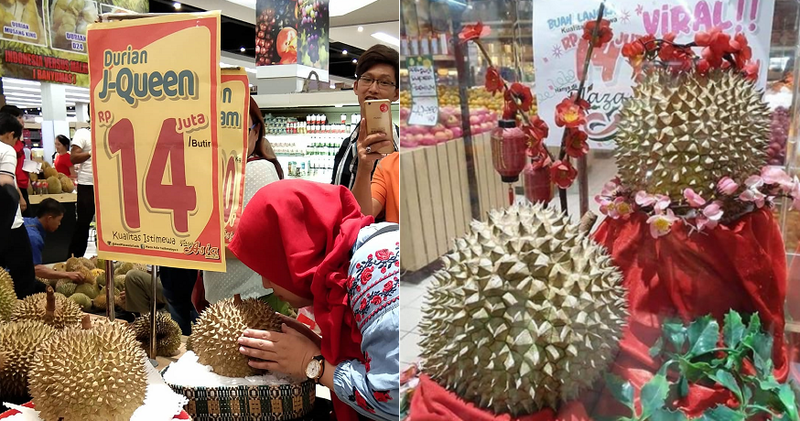 Back in August 2018, Malaysia signed an export protocol with China to sell whole fresh durians to the Asian superpower, setting the stage for the pungent delicacy to become Malaysia’s next major export. With the export now stirring our durian farms into full swing, some troubling side effects are surfacing- including the destruction of Orang Asli ancestral lands, based on a report by SCMP. Deputy Agriculture and Agro-based Minister Sim Tze Tzin has been very hopeful about the deal. “This means China is very keen on our premium whole fruit durians. And, I think we are ready to export them,” he was quoted by FMT. Before, we had only exported durians to China in pulps and pastes. 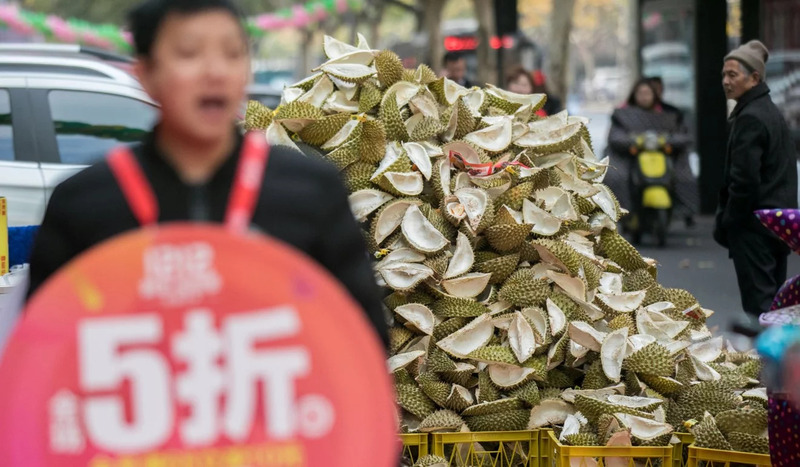 Projections had estimated the export of premium durians to China to skyrocket to “triple digits” by the end of 2019, a far cry from the previously recorded 5.8%. Indeed, the demand and consequently the prices, have risen as well. In a span of four years (2013-17) the price of the famous hybrid durian, Musang King almost tripled, shooting from RM37 to RM90 per kg. Sim also left a clear warning: “I want to advise our exporters not to be too ‘ghairah’ (eager).” It would seem that the warning has fallen on deaf ears. Planting durian is also wildly profitable, raking in more than nine times the RM17,255 per hectare that palm oil brings in per year. 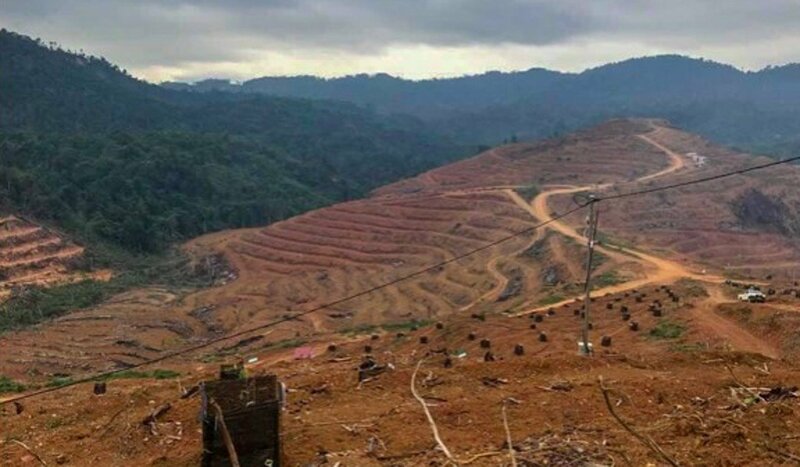 This fact has led to a brutal land grab by corporations looking to cash in, especially in Kelantan, where Musang King is primarily grown in the isolated Gua Musang district due to its potassium-rich soil and abundance of insect life. Kelantan is also one of our least developed states, plagued by poverty and sluggish economic growth. 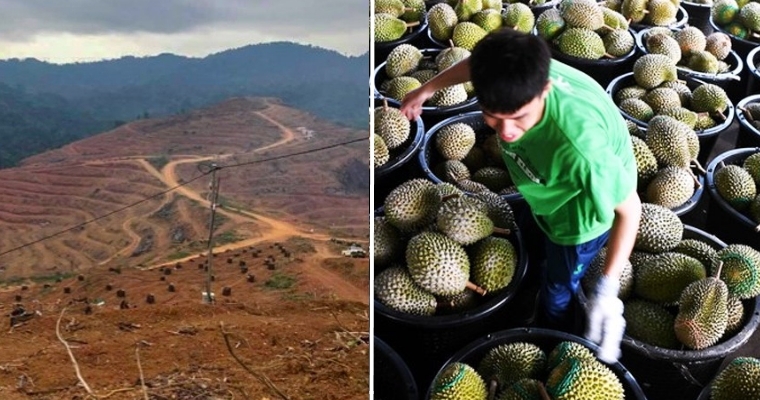 The recent durian boom has shaken up the state, bringing massive changes and consequently affecting the people. Take the Temiar tribe in Gua Musang, one of the larger tribes of Orang Asli, who have had their ancestral forests razed to clear space for vast durian orchards. “This is our land, customary land that belonged to our forefathers since before independence,” said the 31-year-old Mustafa Along, who has been spearheading the movement to stop the land-clearing. “That land is ours. While it’s not written into law, it was verbally agreed upon between the Malaysian government and our forefathers. We’ve been connected to it for thousands of years. The saying is true: if you give an Orang Asli a parang and a match and throw him in a forest, he will thrive. But throw him into a city and he will surely die,” he added. The tribes used to harvest medicinal plants in the forest, for use and trade. Now, the trees and plants have been uprooted and the soil is barren and dry. 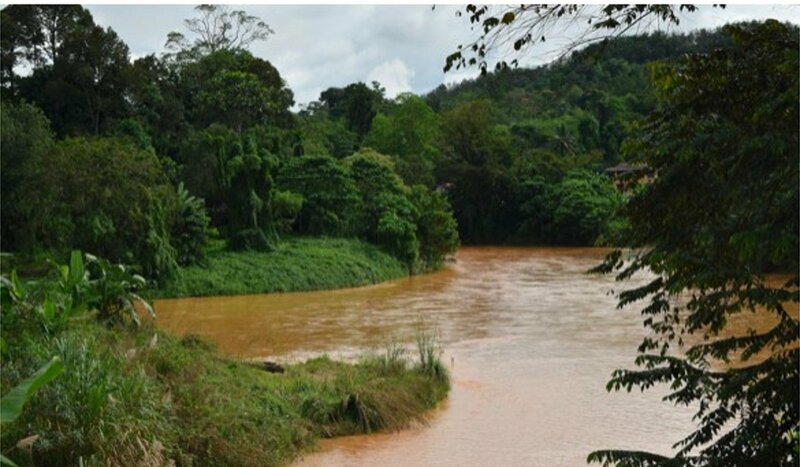 Logging in the area has also stirred up sediment, turning the rivers a dirty brown and rendering the waters undrinkable. The towering trees that have overwatched the land for a century have been cut down for the durian trees, to be planted in grids, 10 metres apart. However, there have been some positive developments that have been set in motion. Activism has stirred Mahathir’s administration, who in an unprecedented move, filed a lawsuit against Kelantan’s state government for failing to protect Orang Asli lands. For Mustafa, this victory is bittersweet. “This is an important development. It shows that the government cares about the welfare and well-being of the Orang Asli. But this should have happened years ago. The damage to our forests is irreversible,” he said. Hopefully, the lawsuit will serve as a warning to all other irresponsible parties and deter any rash moves to sacrifice our environment to profit. Indeed, the forests belong to all of us. It’s really good to see the current government is standing up for the environment. What do you guys think about this situation? Let us know in the comments!